Recently I put a note in the weekly news section I do on Saturdays asking what your process is. I mentioned at the time that I’m working on a couple books, and the process for one of them is going slowly because of the research I need to do. I followed that up with a question on what your process is. I think hearing about how we all approach different writing projects and posts is a good way to learn. I’ll be doing a new series of interviews on this subject. Are you interested in participating? Contact me! Until then, meet Susan Helene Gottfried. We’ve talked to Susan before about her books and writing, and this time we’ll focus on her process. Enjoy. 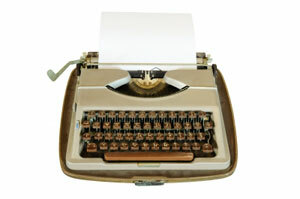 I prefer to write fiction, but do write nonfiction for press releases and other select clients. WAY too long. Seriously. Trevor’s Song took about ten years from start to publication. Of course, I had kids during those ten years, so motherhood slowed me down considerably. The Demo Tapes anthologies are each collections of short fiction written and posted to my blog over a one-year period. I spend a few months cleaning them up and reordering them before I release those to the book-buying public. King Trevor, which will be released this upcoming April 12, didn’t take nearly as long, but I am not able to pinpoint time involved. I am drafting something now, though, that I began in October, I think. I’m aiming to have the first draft done by May. My goal, although I realize I may not make it, is to have it ready for an April 2013 release. I’m definitely a seat-of-the-pants writer. For me, the first draft is for getting to know the characters and figure out what the story is. Everything after that is crafting the raw draft into the final, polished book you’ll have in your hands. It’ll be worth the wait. I promise. Ooh, a lot. I don’t even count. I just get to the end and start over again. If I get to the point where I feel burned out, I’ll put it aside for a week and work on something else. There’s always more ideas burbling around over here than there is time and energy for them all. Yes and no. Once I have it to a certain point, I’ll ship it out to a beta reader, but I’ve really made a point of studying the art of revision and story structuring that I try to do it myself. Not from a “I must control this at all costs!” standpoint so much as trying to really master the craft. I send it to my editor and let her pin me to the wall and not let me off the hook until I admit she’s right. I have a bunch! King Trevor is scheduled for an April 12 release, so I’m trying to finish the revisions by the end of February. Then I’ll turn some attention to ShapeShifter: The Demo Tapes (Year 4) — holy smoke, how’d this vanity project turn into four volumes?? — as I continue to work on the new project. The new one, about the front-woman of a band called A Touch of Scandal, introduces new characters. Trevor Wolff fans may hate me, but I think Monica will have plenty of fans of her own. Besides, I’m not ruling out a return of the indomitable Trevor Wolff. My readers love him way too much for me to make that sort of proclamation. And you can find me under my full name, Susan Helene Gottfried, at GoodReads, Linked in, and Google+. Just look for the orange S on the red background. When you see it, you’ll know you’ve found me. My books are for sale at all the usual outlets, as well: Powells, B&N, Amazon, Sony, Kobo, Diesel, Apple, Smashwords, Chapters… You can order print copies of Trevor’s Song and Demo Tapes (Year 3) from any independent bookstore, as well. 4 Comments on "What’s Your Writing Process: Susan Helene Gottfried"
Thanks for hosting me today, Cherie! I’m flattered to be the kick-off author for your new series. You don’t mention your short fiction, Susan, and you should. ‘Mannequin’ was sublime. I’d love to know if you prefer writing short stories over novel lengths. Do you have a favorite? Aww, Joel, thanks for the praise about Mannequin. Interestingly, it’s been one of my top-selling pieces since I put it up for publication last year. As for which I prefer… I like it all these days. Now that I’m out of grad school and can follow my muse! West of Mars » Blog Archive » What’s my Writing Process?